Even with student loans, scholarships, and grants, most of us have to work at least part-time during college to survive. With overloaded class and study schedules, it’s incredibly hard to find a job to accommodate the average student’s needs. Fortunately, there are a variety of non-traditional options available. Take a closer look at each of these categories and the most popular companies to work with. Becoming a rideshare driver is an excellent way to earn extra cash. For this job, you can simply sign up with a company like Uber or Lyft, and provide rides to people within your community for a fee. A perk of this side hustle is the ability to earn tips. However, there are some requirements that drivers need to meet. You need to be at least 21 years old. All Lyft applicants need to have their driver’s license for at least one year. You need clean DMV and criminal records. Lyft drivers need to utilize a 2003 vehicle or newer, with four doors and proof of insurance. For more information about your specfic market, see our page on Lyft car requirements. 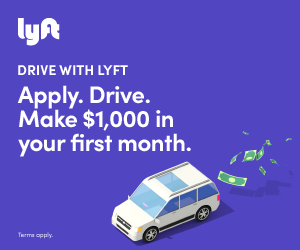 Lyft currently offers sign up bonuses or sign up earnings guarantees in most markets. All drivers have to be at least 21 years old. Applicants under the age of 23 need at least three years of on-the-road experience. You will need to pass criminal and DMV background checks. Drivers need an insured vehicle with a minimum of four doors, younger than 16 years old, and in good condition. For more information about your specific market, see our page on Uber car requirements. Uber currently offers sign up bonus earnings guarantees in most markets. The earning potential of a rideshare driver is only limited by how much you want to work, which is why it’s so appealing. However, drivers have to pinpoint the best locations and time frames to earn big. The age and vehicle restrictions are two of the biggest issues for college students. The 21-year-old minimum age requirement knocks out around half of the student population. The vehicle standards are also a struggle because most students can’t afford to upgrade their cars or rent a new one. However, there are a variety of rental options now available. Even so, rideshare probably isn’t going to be an option for younger students. However, older individuals or non-traditional students may find Uber and Lyft match their needs perfectly. If you don’t meet the requirements to become an Uber or Lyft driver, you can still earn money on the go. Delivery services like Doordash, Caviar, and Instacart, have popped up left and right over the last few years. In everything from food to retail, shoppers want convenience. Luckily for you, this opens up a world of opportunity to make money during your free time. You need a valid driver’s license and insured vehicle. You also need to pass a background check. The company doesn’t place any age restrictions on vehicles, which is a bonus for students. Depending on the market, Doordash allows you to deliver using a motorcycle, scooter, bike, or even by foot. The minimum age also opens up the service to the majority of people. Doordash does offer sign up bonuses or guarantees in some markets. Applicants need a reliable car, scooter, or bicycle at their disposal. Must be at least 18 years old, and car drivers need to be 19. Delivery drivers must have the ability to lift at least 30 pounds. As a driver for this company, you pick up orders at local restaurants and deliver them to the correct address. It’s actually as simple as it sounds. Uber Eats offers sign up earnings guarantees in most markets. Couriers need to pass a background check. You need a reliable vehicle, such as a car, truck, bicycle, or scooter. Some markets require at least one year of delivery driver experience. The biggest difference with Caviar is the experience requirement. While it’s not included in every area and the company has loosened the requirement recently, it does prevent some individuals from qualifying. However, Caviar Couriers tend to make more than their Postmates and Uber Eats counterparts, so it balances out. For more information, check out our Caviar Driver Guide, or click the button below to start your application. 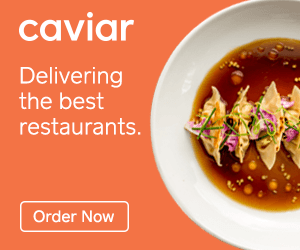 Caviar offers sign up bonuses up bonuses in many markets. Instead of restaurant delivery, Instacart focuses on grocery delivery. Instacart Shoppers are paid to fill and/or deliver grocery orders to residents in the community. If you love grocery shopping already, then this position is perfect for you. Be at least 18 years old (21 in some areas). Have the ability to lift up to 30 pounds. Pass online food safety tests. You don’t necessarily need to have a vehicle to become an Instacart Shopper. In-store shoppers simply put together the groceries, and the customer comes and picks their order up. If you do have an available vehicle, you can work as a full-service shopper and deliver the goods as well. Deliv is different from the other delivery services in this article. While drivers can deliver produce and groceries, the delivery orders are placed by businesses instead of customers. Whenever a local business needs to get an order out pronto, they’ll utilize Deliv drivers to pick up and drop off the products. Have access to a vehicle that’s 20 years old or newer. As a Deliv driver, you operate similarly to a FedEx or UPS driver. Yet, your deliveries are all local. You also sign up for three-hour shifts ahead of time, and during your shift, you get paid per mile and for your time. Known as a block rate, Deliv sets hourly rates for their drivers. If there aren’t any deliveries schedule during your shift, the company still pays you 50% of the block rate for your time. Driving delivery for Instacart or Doordash offers more flexibility in terms of age and vehicle requirements than driving rideshare for Uber or Lyft. The variety of options also ensures that each person has the opportunity to qualify for at least one company. As a result, there aren’t really any downsides to becoming a delivery driver as a student. Electric scooters and bikes are showing up in cities all over the country, but they’re particularly popular around college campuses. While they’re fun to ride, they offer a money-making opportunity as well. Every scooter runs on a battery, and these batteries need charging nightly. As a result, you can partner with the most popular scooter rental companies to get paid for charging their equipment. The service is fairly simple. Chargers utilize the app to locate scooters in their vicinity. After picking up the scooters, you take them home to charge them overnight. In the morning, you drop them off at the locations highlighted by the in-app map. The two most popular companies are Lime and Bird. Formerly known as Lime Bike, Lime offers both electric scooters and bicycles, but the Lime-S scooter (seen below) is the most popular. Their charging fleet, known as Juicers, are paid for each scooter they charge overnight. 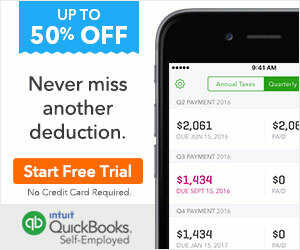 Typically, you can earn around $5 per charge. Unlike Lime, Bird specializes solely in electric scooters, but their chargers are simply called “chargers.” As with Lime, Bird chargers are likely to make around $5 per charge. They also require that each person charges a minimum of three Birds daily. Scooter charging is ideal for many college students. Essentially, you spend around 30 minutes to one hour every day picking up and dropping off scooters. Such a small time commitment is perfect for a busy student. Plus, it won’t interfere with any other part-time gigs that you have planned. These qualities make this side hustle a top recommendation for students. The one downside of scooter charging is that both Lime and Bird require applicants to own a vehicle. So, you can’t simply walk the scooters to and from your residence. If you live in traditional student housing, you could face other issues as well. Many dorms and student-only communities won’t welcome the additional electricity usage that charging requires. Be sure to check with your facility about applicable restrictions before you opt for this route. Surviving financially as a student isn’t easy, but a little hard work and creative thinking will get you a long way. Ready to take on a new side hustle? Get the most out of your experience by utilizing our promo codes. From Lyft and Uber to Postmates and Caviar, our referral codes can help you earn more from the start. What Type Of Vehicle Is Best For Delivery Drivers? Previous Post: What Type Of Vehicle Is Best For Delivery Drivers?